L-Glutathione 'Reduced' is a very expensive ingredient. It is a natural Amino Acid that works by reducing production of Melanin in the body. Less Melanin means lighter skin. As simple as that. 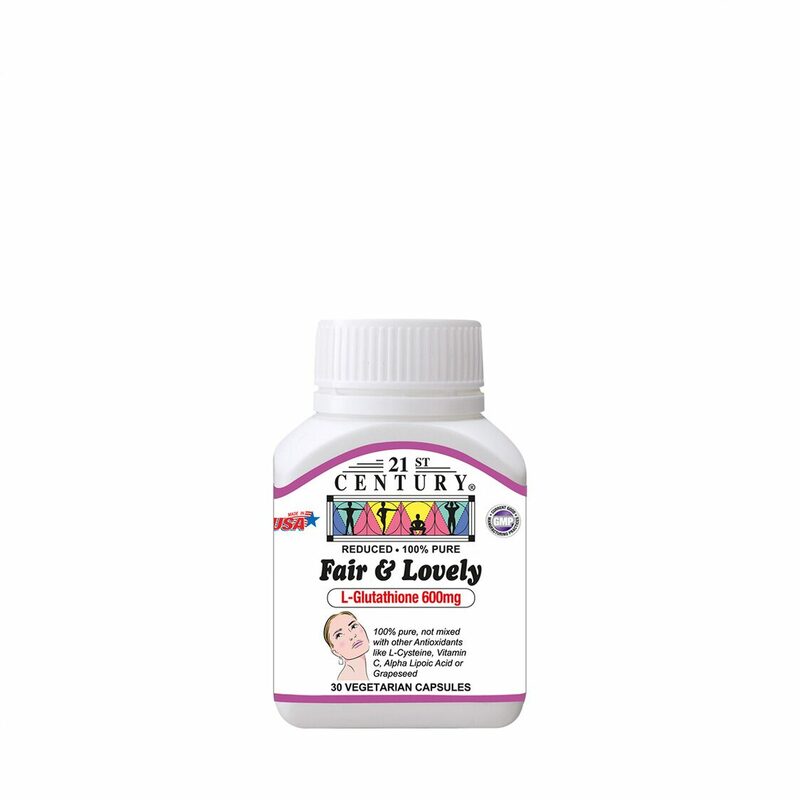 So those who want to make their skin lighter, can take FAIR & LOVELY which contains 600mg of pure L-Glutathione 'Reduced'. 'Reduced' is the non oxidized, stable form of pharmaceutical grade purity L-Glutathione. Non 'reduced' L-Glutathione is used for cosmetics and energy tablets and powders. Where skin lightening is not needed.